Come find rest for your soul. 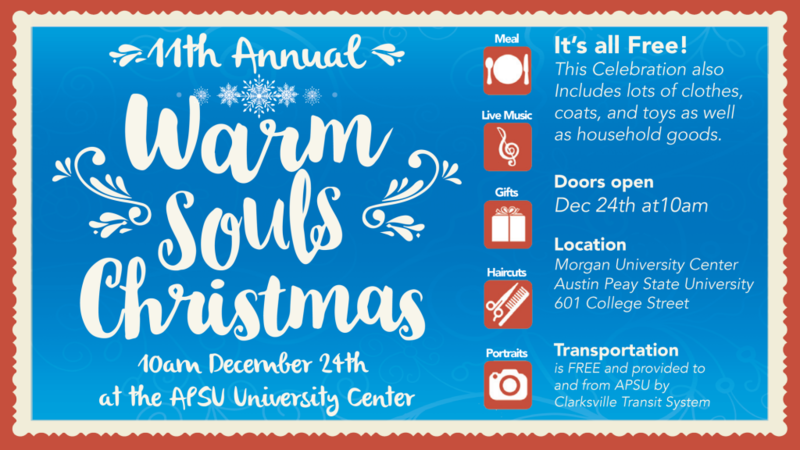 Warm Souls Christmas is an annual event dedicated bringing the community together to embrace the love and faithfulness of Jesus Christ by creating a city of neighbors loving neighbors. On Christmas Eve of every year, Radical Mission Compassionate Ministries, in conjunction with countless churches, organizations, businesses, and volunteers; donate time, food, and gifts to the less fortunate. 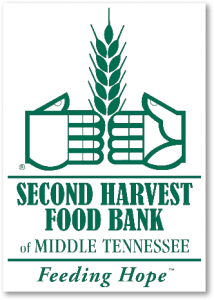 Clarksville Transit System provides FREE transportation to and from the event. Join us for a home cooked meal, music, portraits, haircuts, and gifts on Christmas Eve starting at 10 am. Sign up to volunteer during the event here, make sure to check "I would like to volunteer". If you have any questions, call 855-WRM-SOUL (855-976-7685) or contact us via our contact form. Last year we reached over 1,200 souls, help us to reach more this year! Are you interested in volunteering to help with any of Radical Mission's events? Use our contact form and select Volunteer and let us know what event you would like to volunteer for. We thank you in advance!